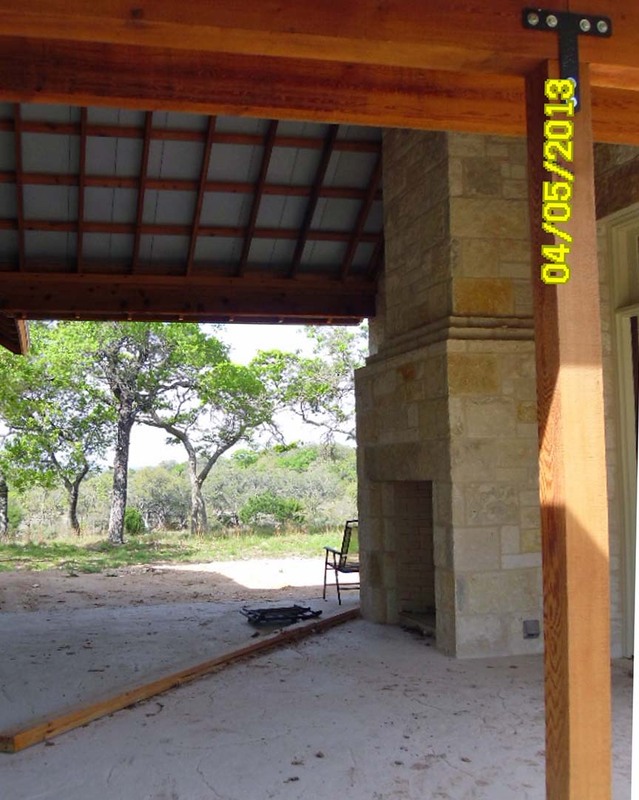 I wanted to thank you for all of the help you provided me in 2010 in the planning of the rumford fireplace for the Abadie Residence in Fredericksburg, Texas pictured in the attached photos. It has performed beyond anyone's expectations and is simply amazing in the amount of heat it produces. 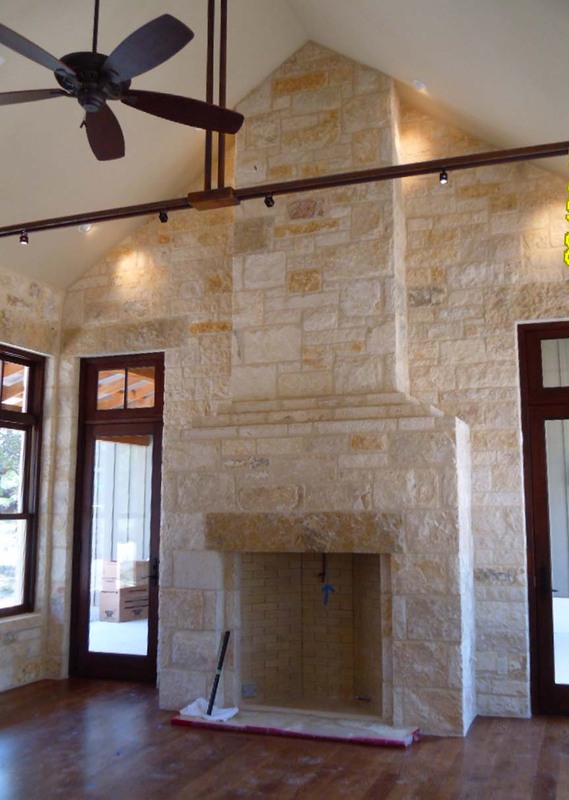 This is a double fireplace that backs up to another with one firebox in the living room and the second in the breezeway between the main and guest houses. My clients are simply amazed at the way the rumford draws, especially with the shallow depth of the firebox. And while leaning the wood against the back wall in a tepee fashion seemed odd to them at first they have come to love the way the fire looks and especially the way it performs when started in this manner. 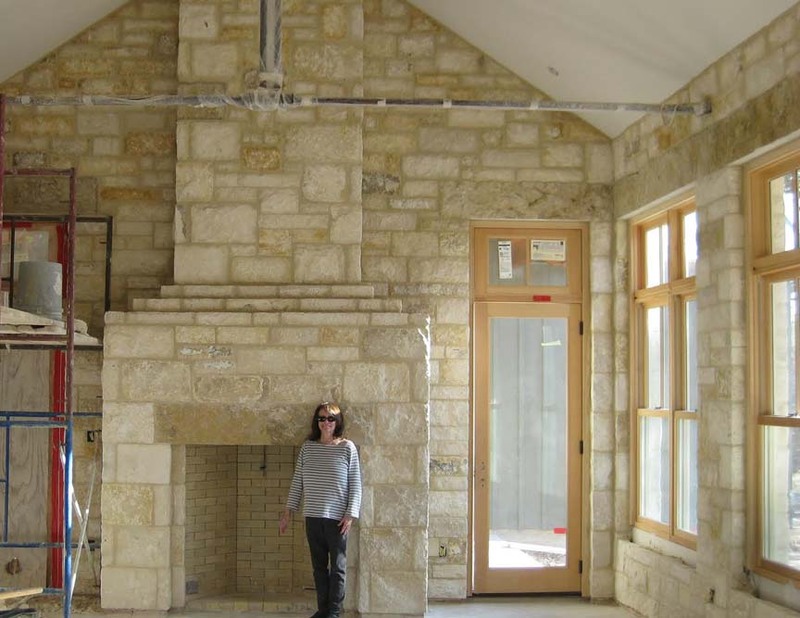 Because of this combination of performance as well as the aesthetic of these fireplaces, I am now in the construction drawings phase of a new house to built in Weatherford, Texas where I have once again designed with a rumford fireplace as the center of attention in the main living room. Truly amazing is the only thing that can be said. Once again, thanks for all of your help and I will continue to keep you updated with new photos as new projects come on line.